These pumpkin muffins are delicious! They're are light yet filling and have added sultanas and chopped nuts. You can use any type of nuts or even a mixture. My favourite is chopped pecans or Brazil nuts, sometimes both! 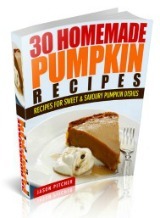 For this recipe, you can use pumpkin or any variety of winter or summer squash. Using canned is obviously the easiest way, but you can also roast, boil or steam. 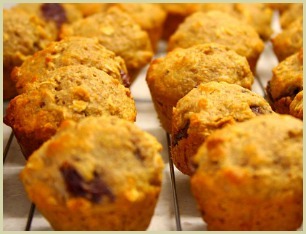 Insert a toothpick or sharp knife into the muffins and if it comes out clean they're ready. To roast: Chop in half and remove the seeds, lightly oil the cut side and place on a baking tray cut size down. Roast at 180c (350f) for 30-45 minutes (depending on size), or until soft. Let cool and then scoop out the flesh. Or, peel before chopping in half, removing the seeds and cut into 1 inch cubes (3cm) before steaming or boiling for 7-15 minutes, or until soft. However you cook it, it's a good idea to mash or give it a quick blend so you get a smooth consistency.